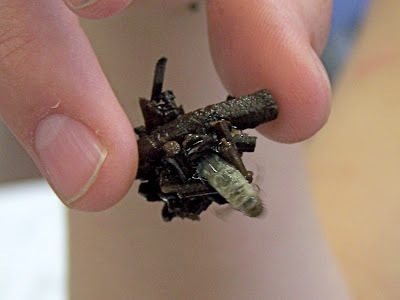 These are all examples of caddisflies, collected during an aquatic insect and crustacean field trip on the Missisquoi River by our fifth and sixth graders. 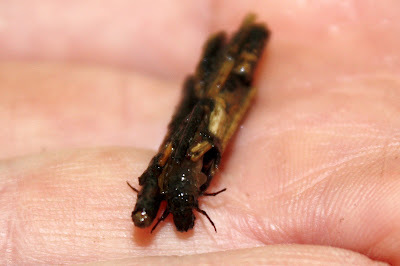 You can see the caddisfly emerging from their homes of pieces of twigs, plants and silk that they make. 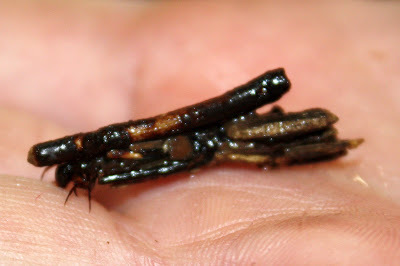 Interestingly, caddisflies and stoneflies are signs that the water in which they live is very clean. Each case that the individual flies make is unique. 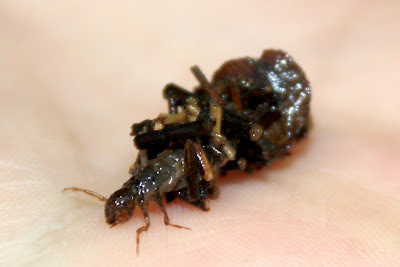 This is one of the most fascinating bugs I have ever learned about. 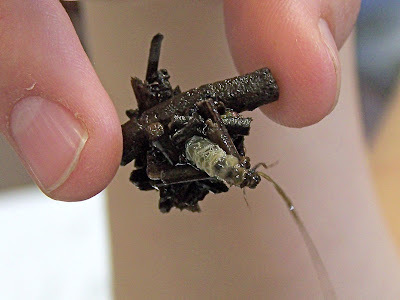 Caddisflies are popular bait for trout fishing. Happy HOT day and have a great week! This is just outstanding!!! How so very very interesting! Applause! Applause!!! Wonderful post and photos!!! I never knew of such a thing. Very cool. Great photography. Bugs hold a certain fascination for me so found your post really interesting. Will know what to look out for when I visit Vermont. Even though I HATE bugs, that was very fascinating. EWWWE, creepy crawlys! 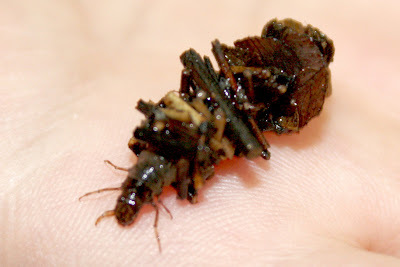 I have never heard of these but I do not like bugs, dead or alive! I don't really like bugs but I enjoyed learning something new. Great photos. I learned something new here. Very good post and interesting too. It's a good sign that the water is clean too. 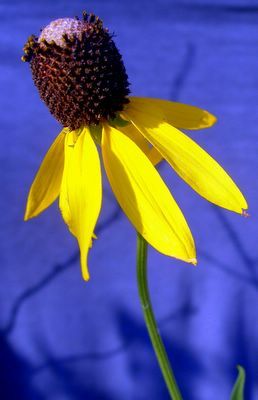 Great photography! First time I've seen these up close. Wow! What extraordinary photos! This is fascinating. Nature never ceases to awe and astonish me. Thank you for the science lesson. for the first time I did not feel jittery about insects. those are very interesting pieces of info.thanks for sharing. This is a very interesting and informative post. I'm not familiar with that kind of bug. I guess it's good to have them around because they signify the cleanliness of the water. Very interesting (as always) and great pictures you took. thats really intruiging. love the pics. you never think stuff like that happens really! fasinating. Very interesting. I am not that good around bugs though. When Bart was in sixth grade his class went to the pond and collected samples from the water. Although I don't recall what they did. As a kid, I used to lay on my belly for hours watching these guys. I was a little afraid of picking them up because I didn't know if they would bite.